The NSW government has decided to push ahead with tunnels on the NWRL (North West Rail Link) too steep to accommodate double deck trains, despite internal documents showing it would not result in any savings when it comes to building a future Harbour rail crossing. The same documents also show that when the Federal Government offered funding for a line between Parramatta and Epping such a line was so far off transport planners’ radars that they did not expect it to be built until after 2036, suggesting it was less of a priority than 3 or 4 other lines that would have been built first, one of which may be a long mooted rail line to the Northern Beaches. Documents uncovered as part of a Sydney Morning Herald investigation into the NWRL shed some light on the process by which the new line’s design was decided upon. A report dated 24th May 2012 proposes 3 options for integrating the NWRL into Sydney’s rail network, named “Suburban”, “Rebuild”, and “Growth”. All options involve first building the SWRL (South West Rail Link), followed by the NWRL. 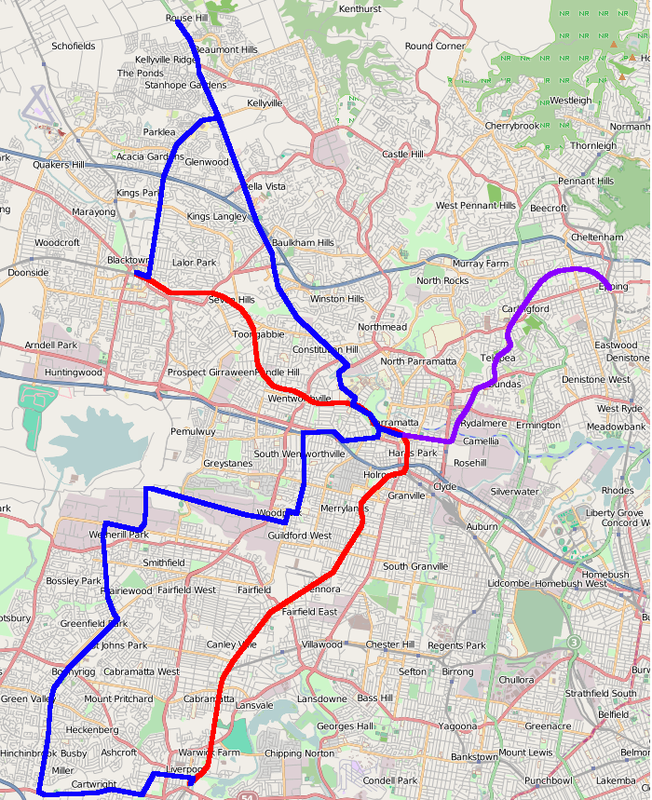 The Suburban option (cost: $9.8bn) is virtually a carbon copy of the Metropolitan Rail Expansion Plan (MREP) of 2005 that would see the building of the NWRL, SWRL, and a Second Harbour Rail Crossing that would fill the missing section to link the two via Macquarie Park and the Airport with a maximum capacity of 24 double deck TPH (trains per hour), though capacity constraints on the Airport Line tunnel would appear to initially cap this at 20TPH. This option would continue to use double deck trains and could retain direct services into the CBD from the NWRL’s opening in 2019, though capacity would likely be tight until the completion of a Second Harbour Rail Crossing in 2026 through the “Metro Pitt” alignment roughly underneath Pitt St. Until this occurred, some NWRL trains would terminate at Chatswood and Upper Northern Line trains would be re-routed via the City Circle rather than across the Harbour Bridge. Once the new line was completed, all stop trains from Revesby would operate via Sydenham and continue to feed into the City Circle, allowing 20TPH to operate on the new line to South-West Sydney (from a current capacity of 12TPH). The Rebuild option (cost: $10.6bn-$12.1bn) involved converting the Harbour Bridge to single deck operation, and was championed by Infrastructure NSW. Under this plan, the NWRL would operate with some or all trains terminating at Chatswood with either single or double deck trains. 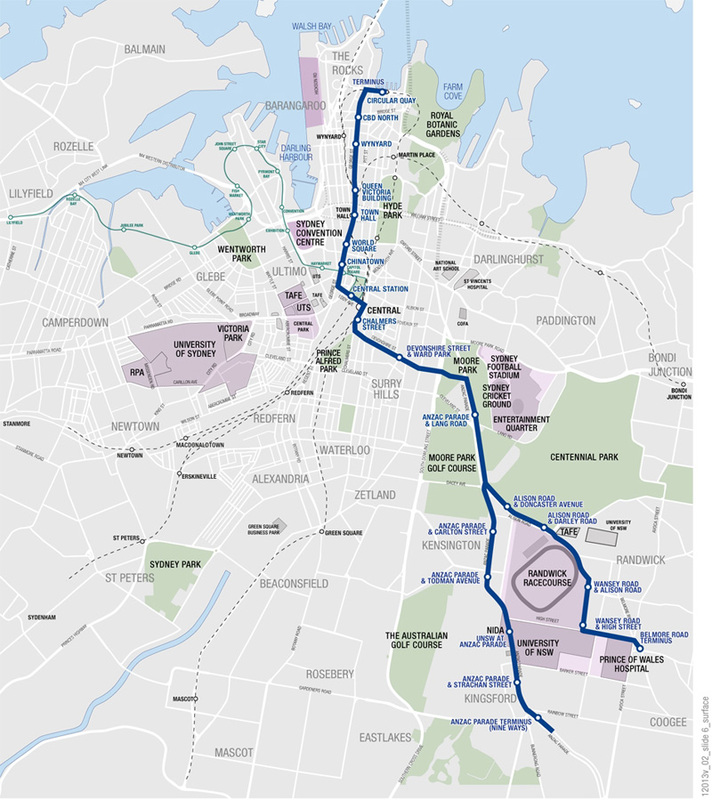 A new CBD line would then be constructed between Redfern and Wynyard (previously referred to as the CBD Relief Line), utilising the “Metro West” alignment roughly underneath Sussex St, to be completed by 2026. This would then be followed by converting the line across the Harbour Bridge to single deck operation, a process that would take 4 years and necessitate the closing of the City Circle between Central and Wynyard. This would allow cross-Harbour capacity to be increased to 28 single deck TPH, up from an existing 20 double deck TPH, by 2031. 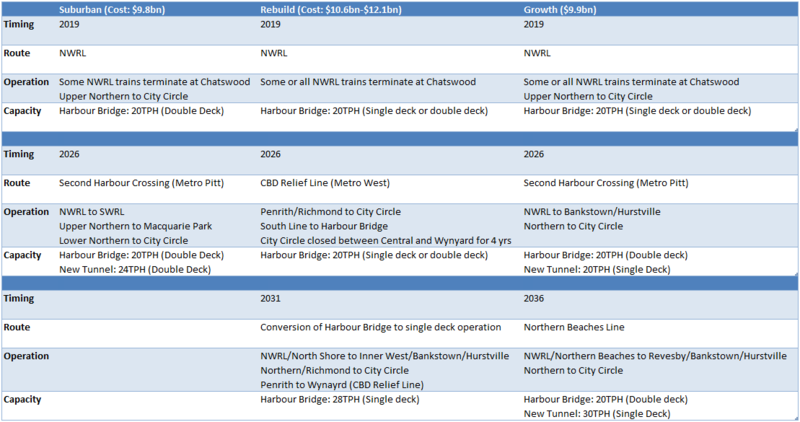 The Growth option (cost: $9.9bn), ultimately selected as the preferred option by the NSW Government, involves the creation of a new single deck network via the construction of a new under the Harbour Rail Crossing. Under this option, the NWRL would be built by 2019 for initial operation with either single or double deck trains where some or all would terminate at Chatswood. 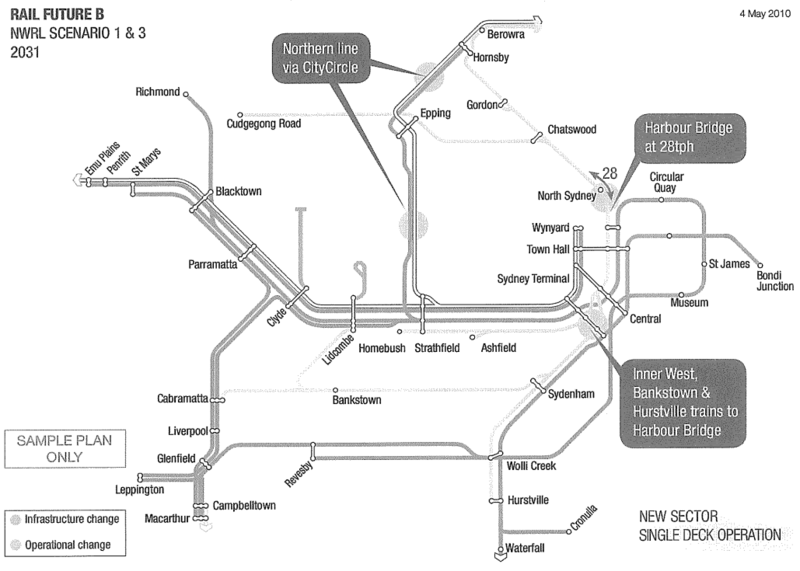 A Second Harbour Crossing would then be built by 2026, creating a new line which would connect the NWRL to Hurstville and Lidcombe/Cabramatta via Bankstown running single deck trains with a maximum capacity of 30TPH. The line would initially operate at a maximum of only 20TPH due to network constraints at the outer ends of the line. However, the report suggests reaching 30TPH by extending it with a new Northern Beaches Line and by incorporating the all stops portion of the East Hills Line out to Revesby. 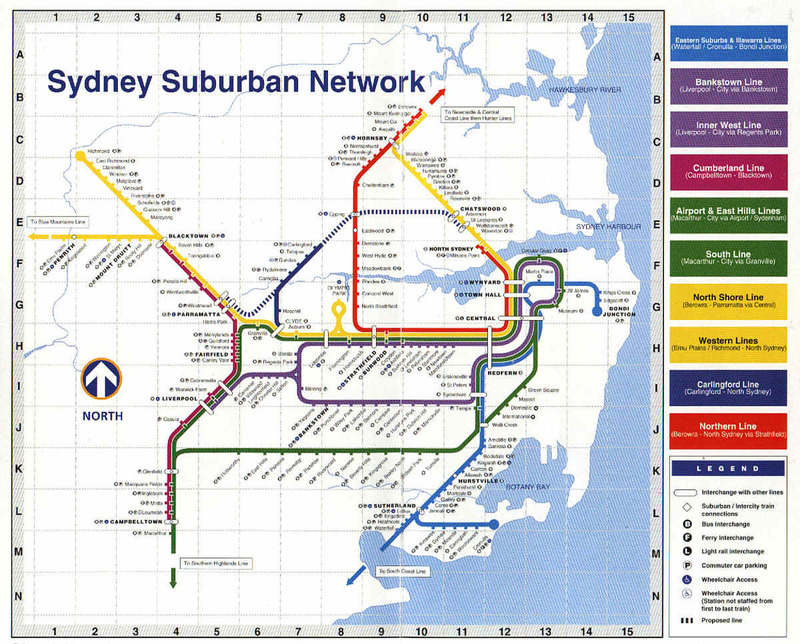 As with the Suburban option, this would also allow 20TPH to operate to South-West Sydney. The rebuild option was rejected on the basis that it was the most expensive, provided the smallest increase in capacity, and imposed the greatest disruption of the three. Ironically, this was meant to be the option that avoided the “prohibitively expensive” under the Harbour rail crossing, yet it ended up being the most costly as the CBD Relief Line, with a price tag of $5bn, was not that much cheaper than a new line that continued through to Chatswood, which costs $8bn, but necessitated expensive upgrades elsewhere on the network (costing anywhere from $4.3bn to $5.8bn). The other two options cost almost the same, and provide similar levels of increases in capacity (single deck trains carry fewer passengers per train, but can operate more trains per hour than double deck trains, so the number of passengers per hour is comparable). The Growth option included the possibility of building the NWRL with tunnels that were compatible with existing double deck trains, at a cost of $200m. This would allow some trains on the NWRL to continue past Chatswood through to the CBD from the day the NWRL opens. However, currently there is only enough spare capacity into the CBD on the Harbour Bridge to allow 1 train through in the busiest hour of the morning peak without removing services from either the Upper Northern Line and the North Shore Line. It has previously been speculated that a steeper gradient allowed by single deck trains would allow for a cheaper and easier construction of an under the Harbour rail crossing, with stations closer to the surface at either side of the Harbour. This in turn would be where the real savings would be made, and there is little point in spending $200m to add virtually no new capacity for the few years until the new under the Harbour crossing was completed. However, this does not appear to be supported by the costings in the leaked report, the cost of building the Harbour crossing for double deck trains is listed as $7,940m whereas for single deck trains it is $8,055m (Source: CBD Rail Capacity Programs Rail Futures Investigations, p. 34). While it does also provide $200m in savings for the NWRL, Transport Minister Gladys Berejiklian is on the record as saying that the cost of upgrading the Epping to Chatswood Line for single deck trains is more than $200m. This means single deck trains cost more in both the NWRL and second Harbour crossing stages. In other words, it would appear that the steeper tunnels not only do not provide any savings, but they actually cost (slightly) more! That means there must be another reason why the government has opted to go with the Growth option for single deck trains. One possibility could be that it allows for complete ATO (automatic train operation), otherwise known as driverless trains, along with all the benefits that come with it (see: here and here). These require an independent and segregated line to operate on, and only the Growth option initially running shuttles to Chatswood provide that opportunity. Also contained in the report is the assumption that transport planners were operating under for the Growth option that the next line to be built after the Second Harbour Crossing would be to the Northern Beaches. This is mentioned not just in the May 2012 report, but is also included on the maps in the report. 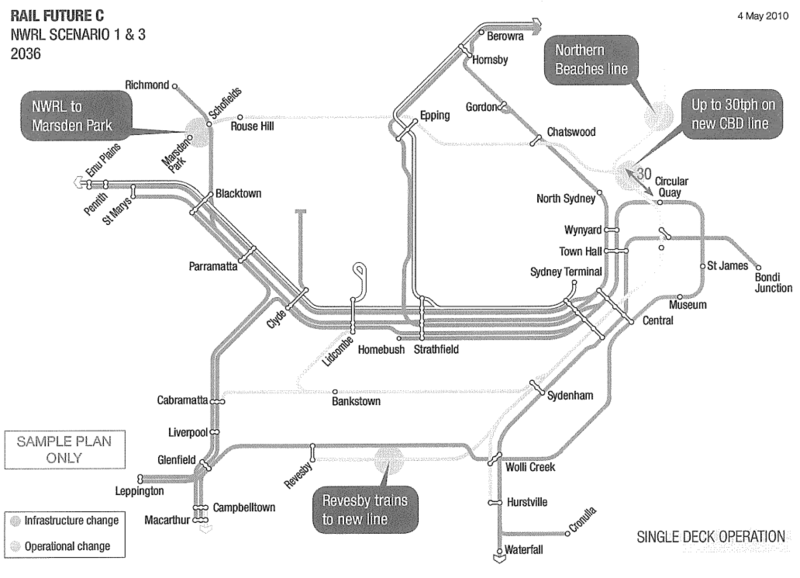 The maps are dated 4 May 2010 and show the PERL (Parramatta to Epping Rail Link) as being built at some point after 2036, then operating as an independent shuttle. This means that just 3 months prior to the 11 August 2010 announcement that Federal Labor would fund the PERL, the then NSW Labor government had placed it so low on its list of transport projects it planned to build that it was not only below the NWRL and second Harbour crossing, but also behind a line that has not been seriously talked about since the 1970s. This should emphasise the importance of putting good planning first, ahead of political considerations, when it comes to creating a good transport network. Unfortunately it appears the Labor Party tends to put its ideals in the right place in supporting public transport (importantly without the rabid anti-roads ideology of The Greens), but then implements it ineffectively by doing so through the prism of politics. As seen with the proposed funding of WestConnex, it’s not a one off occurrence. A 17km light rail line from Westmead to Macquarie Park would be the first stage of a light rail network centred on Parramatta that would support an additional 50,000 homes and 180,000 jobs by 2031 according to a proposal by Parramatta City Council. This would be followed up by a line to Castle Hill, with lines to Bankstown and Olympic Park/Rhodes as potential further extensions (zoomable street map available here). 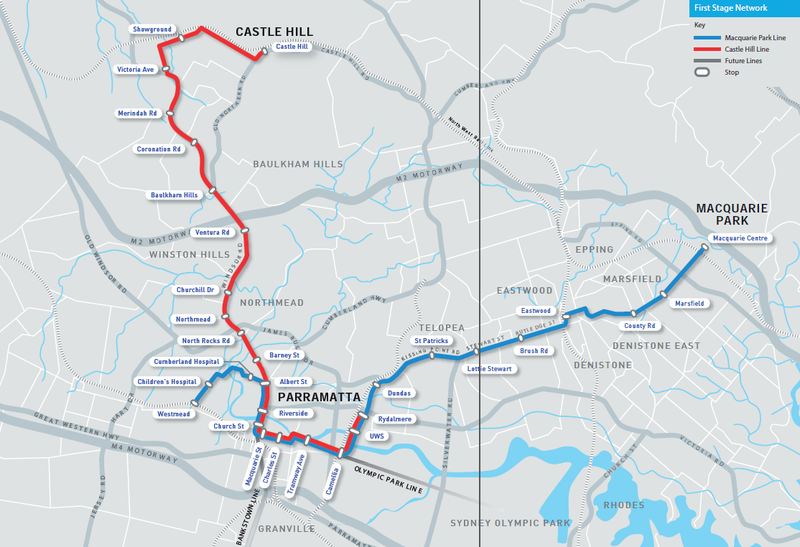 Parramatta Council has been pushing for light rail since the NSW Government dumped plans for the Parramatta to Epping Rail Link (PERL) shortly after the 2011 election. Both lines are designed to link up Parramatta to Macquarie Park. The main advantage of the light rail option is the cost, coming in at $919m versus $4.4bn which was the most recent figure available for the PERL. (This works out to $54m/km, compared to $31m/km for the Dulwich Hill light rail extension or $133m/km for the CBD and South East light rail.) The study envisages trams running every 10 minutes during peak hour, with 15 minute frequencies during the off-peak. As the Castle Hill line will share track with the Macquarie Park line in the Parramatta CBD, this should result in 5 minute and 8 minute frequencies, respectively, in the core of Parramatta. 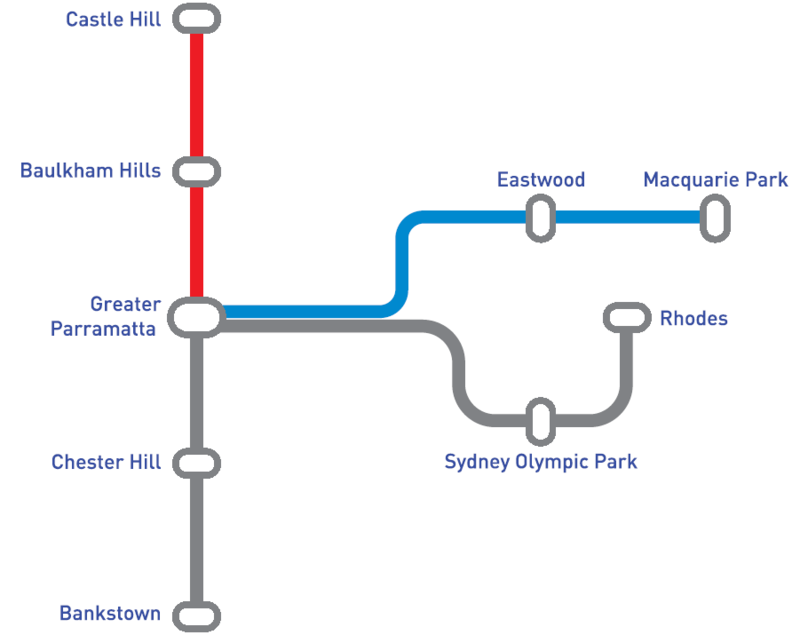 Much like the CBD and South East light rail currently about to begin construction, this new line would connect up a hospital (Westmead), a stadium (Parramatta), a CBD (Parramatta), a racecouse (Rosehill), and a university (UWS) with a frequent and high capacity transport service. The majority of the alignment also provides for trams to run on an exclusive right of way. These include the Carlingford Line alignment, where the study finds that there is space for both light rail and the Carlingford Line (including a potential PERL in the future); the median on Kissing Point Road; and the reservation for the never built Country Road at Marsfield. In addition, work currently planned for James Ruse Drive for an overpass at Camellia would allow the light rail to travel under James Ruse Drive and avoid this busy intersection. The Parramatta CBD portion would run mostly along Macquarie St, which is one block North of the main transport interchange centred around Parramatta Station. This could prove problematic if it makes transfers from bus/train to tram or vice versa more difficult. Alternatively, if Parramatta continues to grow, then Macquarie St could also become an extension of the existing transport interchange, catering for future growth. The proposal is now in the hands of the state government, which mentioned in the Sydney Light Rail Future document that a Western Sydney light rail network centred on Parramatta is something it is considering (p. 20). This is by no means a guarantee that any of these lines, let alone the full network, will get built. But Parramatta Council has put forward the right project at the right time, and that makes the possibility of this being built some time next decade a better than 50:50 likelihood. Commentary: Which major party is best for transport in Sydney this election? If this blog were voting on September 7 purely on transport issues, and had to make a choice between one of the 2 parties that will form government, then it would with reservations cast its vote for the ALP. There are many other issues to be considered in this election, and many details as far as just transport is considered. But broadly speaking, for the upcoming election the Coalition has promised to the NSW Government more funding for transport infrastructure (albeit only for roads, not public transport) with fewer strings attached than the ALP have, while the ALP is both prepared to fund public transport and has made a slightly more solid commitment to building a much needed airport at Badgerys Creek. Each of the major parties have made large commitments towards 3 transport infrastructure projects, all roads: the Pacific Highway upgrade on the NSW North Coast, the M2 to F3 Link in Northern Sydney, and the WestConnex freeway in Western Sydney. 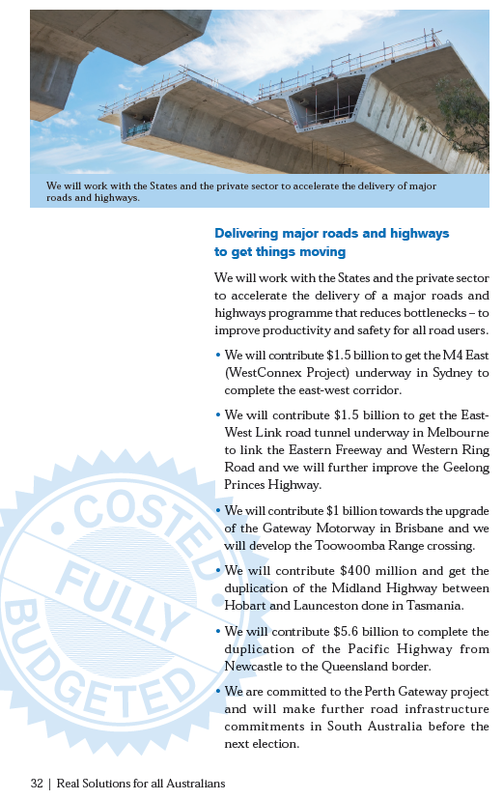 The ALP has proposed 50:50 funding, shared with the NSW Government, for the Pacific Highway, which works out to $3.5bn. If the NSW Government does not match this amount then the deal is off, and there is some uncertainty over whether the NSW Government will match this amount. The Coalition has offered an 80:20 split, or $5.6bn, with the extra $2.1bn being the Parramatta to Epping Rail Link funding the ALP has previously promised (but since dropped). It is likely that the NSW Government is holding out for a possible Coalition win on September 7 before it tries to find funding for the ALP offer, but there is no guarantee that it will. If it does, then it is likely that some or most of this money will come from other parts of the transport infrastructure budget, including public transport as NSW Transport Minister Gladys Berejiklian alluded to in her bizarre comments that she welcomed news of not receiving any funding for public transport. The M2 to F3 project is set to receive $400m of Commonwealth funding regardless of who wins next month, following a commitment by the ALP in May which was matched by the Coalition. For WestConnex, the ALP is offering to match the NSW Government’s current $1.8bn contribution, while the Coalition has promised $1.5bn. 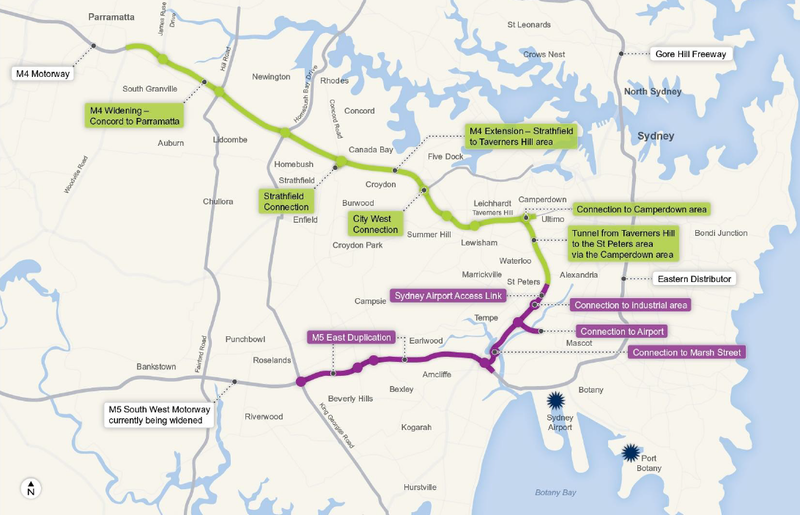 Both parties have made their funding conditional on the M4 East being extended to the CBD (a poor decision, as explained here), while Labor has also required a link to Port Botany and for existing portions of freeway to remain toll free. These requirements will result in a higher construction cost and a lower cost recovery, to the point where the total cost to the NSW Government could be lower if it rejected the extra funding. While the Coalition’s offer does have fewer strings attached, both parties are guilty of this. Overall, a Coalition Government in Canberra would likely provide more funding ($7.5bn vs $5.7bn), and do so with fewer restrictions. Tony Abbott has consistently voiced his view that the Commonwealth Government should not fund any urban rail projects. He has been given many opportunities to elaborate on this view, and each time he has stuck to his guns on it. Often, this has been based on false assumptions. For example, he initially argued that the Commonwealth had no history of funding urban rail (which was incorrect). He then clarified by arguing that no Commonwealth Government before current Labor Government won office in 2007 had a history of funding urban rail (which was also incorrect). Melbourne based transport advocate put it best when he said “perhaps the Federal Coalition has no history of funding urban rail, but the Commonwealth most certainly does“. The ALP, on the other hand, both supports the funding of public transport and has a history of doing so. While there are no current pieces of public transport infrastructure that the ALP is offering to provide funding for, such support may be essential for projects currently in the pipeline, such as the South East Light Rail or a Second Harbour Crossing. Most importantly, public transport projects are much less able to obtain private sources of funding, whereas roads are able to source all (or atleast most) of their funding from user tolls. Therefore, it is the height of ridiculousness for a Commonwealth Government, the level of government with most access to revenue raising, to rule out funding the sort of infrastructure that most needs government support to go ahead and to instead focus its funding on those projects which least need it. This is particularly the case when it’s considered that rail has a capacity 10 times as large as the equivalent amount of road space used by cars. On the issue of funding philosophy, the ALP comes out ahead. Neither party is yet willing to come out and state the obvious: that Western Sydney needs an airport of its own, and that Badgerys Creek is the best site for it. Even Max Moore-Wilton, head of Sydney Airport, agrees that Sydney will need a second airport and that Badgerys is the best location. The only thing he disagrees on is the timing, claiming that Sydney Airport will have sufficient capacity until 2045. But none of this can allow politicians to ignore the fact that an airport in Badgerys Creek is an essential piece of infrastructure that will allow the much needed creation of jobs in Western Sydney, which will soon overtake Sydney’s Eastern half in population. Despite this, 200,000 Western Sydney residents currently commute into Eastern Sydney each day due to a jobs deficit, and this will only increase in coming decades if nothing is done about it. This in turn puts additional stress on transport infrastructure, which in turn has resulted in pressure to build projects such as WestConnex. Improvements to Kingsford-Smith Airport at Mascot will do nothing to ease this strain on jobs and infrastructure. Transport Minister Anthony Albanese has now declared that if re-elected, he would like to see Labor Government will begin work on a second airport in its next term, but without nominating a site. Meanwhile, the Coalition has refused to nominate a site or a start date, though at the leader’s debate this past Sunday Opposition Leader Tony Abbott did promise to make a decision in his next term. 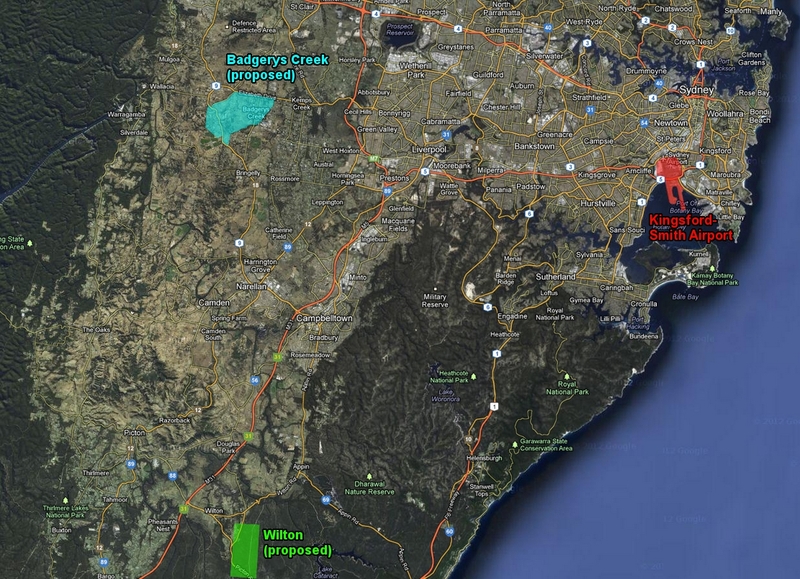 Neither of these positions is ideal, although privately it looks like both parties plan to begin work soon on an airport and choose Badgerys Creek as the location. Despite this, the ALP’s commitment is slightly more concrete than the Coalition’s and Mr Albanese is a stronger advocate for Badgerys Creek than Warren Truss as Transport Minister is likely to be. Should the federal government fund urban transport? Opposition Leader Tony Abbott declared last week that he would be committing no funding to public transport ahead of this year’s election, despite having committed $4bn to road projects in Sydney, Melbourne, and Brisbane. His first point, about the highest priority road project in Melbourne, is correct because he is talking about road projects specifically rather than transport projects in general. However, according to Alan Davies at The Urbanist, the East-West Link road is only on Infrastructure Australia’s “Real Potential” stage, the second of four categories, while the Melbourne Metro rail project is in it’s top “Ready to Proceed” category. At best, Mr Abbott is asking the wrong question, at worst he is committing money to a project with a benefit cost-ratio of only 0.50 (i.e. the benefit is less than the cost), when he could be funding the Melbourne Metro with a benefit-cost ratio of 1.30 (figures from Alan Davies’ article linked to previously). His second point, on the Commonwealth government having no history of funding urban rail, is just flat out wrong. As Daniel Bowen points out when listing just some of the urban rail projects funded by the Commonwealth, “perhaps the Federal Coalition has no history of funding urban rail, but the Commonwealth most certainly does”. The decision to fund road projects over rail is not a merit based decision, it is a politically based on (and one which I have criticised the Labor Party for doing in the past on both WestConnex and the Parramatta to Epping Rail Link). As a comparison, urban rail has received a majority of Infrastructure Australia funding when merit is used as the criteria. The state governments in Victoria, Queensland, and Western Australia, all governed by Mr Abbott’s Liberal-National Coalition, have also all publically voiced their opposition to his decision. Feeling the heat, Mr Abbott later clarified his statement, pointing out that his government would still fund freight rail and interstate transport, and that it was only commuter urban rail projects that he was referring to. On his side is the division of powers set out in the Australian constitution, where the Commonwealth government is responsible for freight and interstate transport, leaving state governments responsible for urban transport. While Mr Abbott is well within his rights to follow a strict interpretation of the role of the Commonwealth government, it is also true that such a view would preclude federal funding of schools and hospitals, given that they are a state responsibility. This is why the days of health, education, and transport being funded solely by the states has now long gone. This is where his argument starts to fall apart on constitutional grounds, and it becomes clear that it is ideologically driven. He seems much like American conservatives, who see public transport as a socialist means of transport “for the masses” requiring government subsidy while seeing the private motor vehicle as a form of transport that is liberating and free and more in line with their small government philosophy. He looks at the inner city areas which most heavily use public transport and sees Labor and Greens leaning voters, then at the car dominated outer suburban areas are where the swinging voters he needs live and decides that the politically astute thing is to build more roads. Not all conservatives still think this way. NSW Transport Minister Gladys Berejiklian has successfully championed public transport despite opposition from Infrastructure NSW Chairman Nick Greiner and CEO Paul Broad, while London Mayor Boris Johnson is pushing an ambitious £913m expansion of his city’s bike network. They understand that you can’t build your way out of congestion with more roads and that, while roads play an important role, so does public and active transport. It’s disappointing to see that Mr Abbott hasn’t worked this out yet. One criticism sometimes raised on the O’Farrell government’s transport policies are that all new transport projects are CBD centric. The Northwest Rail Link (NWRL) and Southwest Rail Link (SWRL) will both funnel commuters into the CBD, as will the Southeast and Inner West Light Rail Lines aswell as the Northern Beaches BRT. But what about Western Sydney? 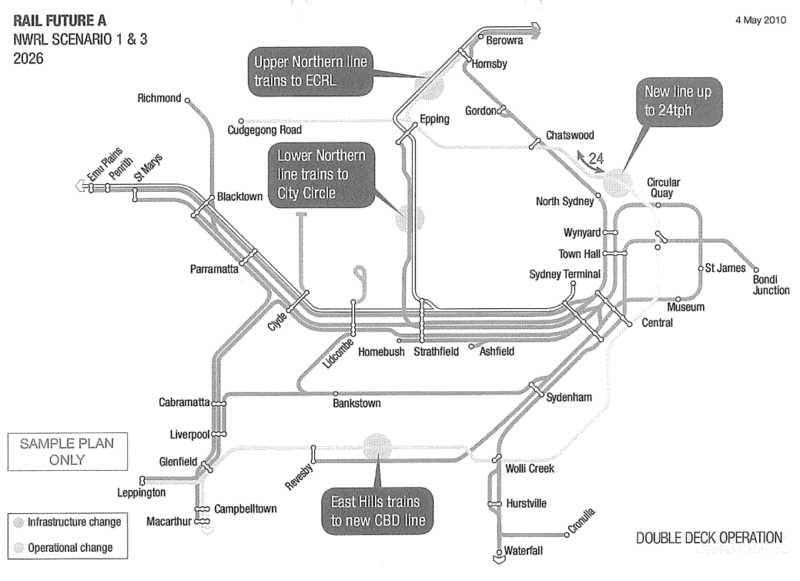 The previous Labor government, for all its shortcomings, did build the Y-Link at Harris Park that enabled the Cumberland Line and also constructed the Northwest and Southwest T-Ways, all of which were Parramatta centric rather than CBD centric. These comments are almost always followed up by calls for the construction of some new transport line in Western Sydney, be it re-routing the NWRL via Parramatta, building the Parramatta to Epping Rail Link, or the creation of a Western Sydney Light Rail network. If resources were unlimited, then construction on all of these would begin tomorrow. But they are not, so it poses the question: given the limited transport budget, what would provide the largest benefit to Western Sydney for the smallest cost? A counter-argument to this is that rather than suffering from underinvestment, Western Sydney instead suffers from poor planning. So rather than building new infrastructure the government should instead first seek to fully utilise existing infrastructure. The Cumberland Line, for example, runs only 5 trains per day. Yet because this line branches out at Granville, about half the trains go South to Liverpool and half go West to Blacktown, there is plenty of spare capacity on it. It would be quite easy to run 2 or even 4 trains an hour in each direction on this line all day. The T-Ways, while currently providing good service with 10-15 minute frequencies all day (and as many as 20 buses during the busiest hour in the AM and PM), could easily scale this up even further. A lack of layover space for buses in Parramatta’s CBD means buses may need to be through-routed past Parramatta and end their route elsewhere, but this would also have the added benefit of providing additional direct links to Parramatta. The main reason why this does not happen is the political benefit from it is small compared to new construction. “Government to build new rail line to XYZ” makes a great headline, whereas “Government to provide additional frequencies on existing line with spare capacity” does not. Here the O’Farrell government should learn from the Carr Government’s Clearways Program, which sought to increase the capacity of the Cityrail network by targeting bottlenecks and pinch points in the existing network, rather than increasing capacity by building new lines. It did not get the sort of headlines that the NWRL, SWRL, or WestConnex have, but it achieved the sorts of benefits of these new projects at a fraction of the cost. NOTE: I’m not an expert on Perth’s transport network, the extent of it isn’t much beyond the one time I caught a train in Perth back in the mid 90s. So apologies if there are any inadvertent errors about the network or specific policies by either government (the ABC’s 730 WA program did a more in depth report here, for those interested). It’s more the general concept that I’m trying to comment on than the specifics of Perth itself. WA voters go to the polls this weekend to elect their state government, and one of the major issues is public transport. Perth in particular is suffering growing pains and the failure of infrastructure to keep up has resulted in big increases in congestion. In an attempt to re-gain power, WA’s opposition Labor Party has put together a heavy rail expansion policy known as Metronet: representing 75km of new rail lines out into the outer suburbs of Perth. The Liberal government, led by Premier Colin Barnett, is proposing a single new line to the airport, light rail from inner Perth into the CBD, and improvements to the road network. Geof Parry (7 News): The PTA had a look at this and there’s not the case now for a rail line to Ellenbrook. I mean, that’s PTA, not the government, saying there’s no case for it. Mark McGowan (WA Opposition Leader): Ellenbrook is growing massively and everyone out there knows it. My colleague Rita Saffioti tells me about it everyday. But this rail line will also connect Morley up to Ellenbrook. There will be 200,000 people living there and they need decent transport. Mr McGowan has the right conceptual framework here. Nothing competes with heavy rail when it comes to passenger capacity, and building lots of it is the most effective way of relieving congestion. But Mr Barnett has the implementation right. He promised the Ellenbrook Line from opposition, but when in government the public service informed him that it was not a line that was needed, and so he abandoned it. Without knowing much about the details of the Ellenbrook Line it’s impossible to say for sure, but the earlier quote does make it look more like a line on a map drawn for political purposes than the conclusion of a well thought out process of how to improve Perth’s transport network. In that regard, it is quite similar to the now abandoned Parramatta to Epping Rail Link (PERL) in NSW. Here you had a line which was supported for political reasons, rather than because it fit into a big picture plan (even Infrastructure Australia rejected the PERL as “not on Infrastructure Australia’s priority list”). The reality is that going to an election with very specific plans for what you are going to build is not the right approach. It would be like the federal opposition in 2007 promising to not only build the NBN, but providing a detailed list of where it would be rolled out to over the next decade. Those sorts of details are better left to when you get into government, with a more general view until that point. In fact, the current NSW government’s backflip on the NWRL – which it promised would run double deck trains through to the city – is further evidence of the importance not to promise down to the minor details when you don’t know what will or won’t work. Politicians of all parties and in all jurisdictions would do well to remember that, and learn to say the words “subject to feasibility”.